My name is Claire McAlpine and I am Flairesse. 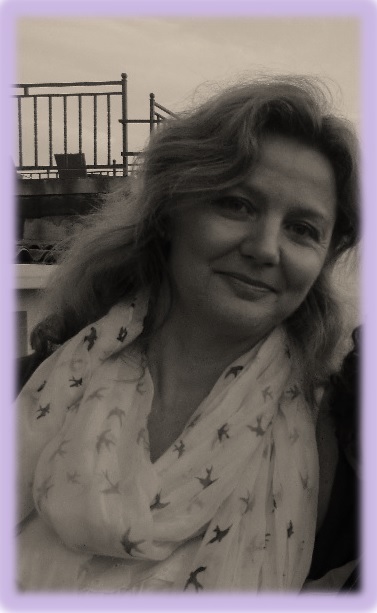 I live in Aix en Provence in the south of France where I practice Aromatherapy and Holistic Massage Therapy. I am originally from New Zealand, growing up on a 2000 acre, remote, limestone, hill country sheep farm. In my twenties I discovered London and fell in love with all that it offered, culturally, spiritually, with its diverse population and the opportunity to pursue and immerse myself in knowledge and learning that felt at a deep soul level, like something I’d been called to do. The tuition is over, but the learning continues through every new encounter and even now after 20 years of experience practicing, I love working in this way with people, using what I’ve learned, listening through a developing intuition, rewarded by a feeling of bliss. Under the tuition and guidance of Gabriel Mojay at the Institute of Traditional Herbal Medicine and Aromatherapy(ITHMA) in London, I spent a year studying Aromatherapy, Massage, and Anatomy/Physiology from the perspectives of both Eastern medicine and healing and Western. After working for a number of years in Holmes Place Health Clubs in London (Barbican, Moorgate and Ealing Broadway) as well as working from home, I am convinced the best place for you to receive a massage is in your own home (or holiday home) where there are no time restrictions, no other clients waiting and where it is not necessary to navigate transport or drive back home. I have learned over the years of doing bodywork that 90 minutes is the optimum period of time to give ourselves, to perform a thorough, healing massage without needing to make the shortcuts a shorter treatment requires. It gifts us time to listen to the body’s messages, to follow one’s intuition and guidance, for a more healing, holistic and complete experience. The benefit and healing continues after the treatment, and being in your own environment, able to relax afterwards, facilitates the process. Interested also in soul and energy work, I am currently studying Spiritual Phytoessencing with Dr Bruce Berkowsky learning to create a customized blend for deep Soul-Level healing and hope to include this new knowledge in my work with clients, developing essential oil blends to bring equilibrium, not just to the body and mind, but to the soul. Hi Claire. So great to read about what you have done and what you are doing. You are an amazing person. Ive never ever forgotten you.